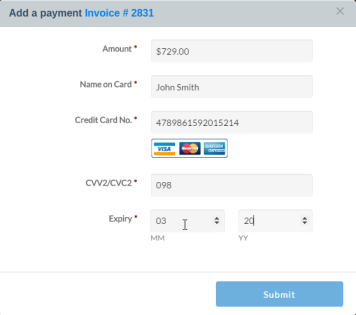 Get the fastest invoice to payment workflow on the market with integrated digital forms. 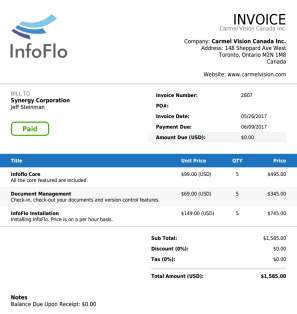 While getting paid faster, InfoFlo Pay can also help you grow your clientele by offering integrated features not found in any other invoice management solution. These includes CRM, payment processing, digital forms and a customer portal. Browse the tabs below for more information. Easily create a new estimate and send it off to the customer for acceptance. Receive notifications when customer is viewing the estimate. Manage all invoices from one screen and create professional invoices within seconds. 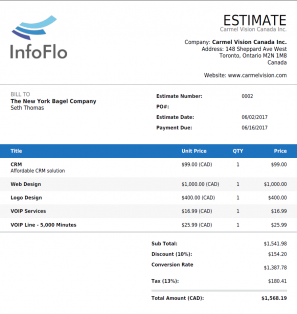 Receive notifications when customer is viewing invoice. Accept online payments from any device. One-time, recurring, deposit, subscription and installments are all supported payment types. Payment profiles with customers credit cards can be securely saved. The only solution that provides your clients access to their estimates, invoices and statements on their browser or mobile device. They can accept estimates and pay for invoices. Create online contracts, web-to-lead, registration and any other forms you like using our easy-to-use form builder. 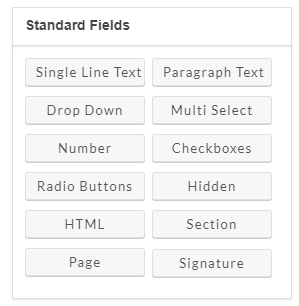 Add fields like first name, last name as well as more advanced fields like e-signature, file upload and captcha. 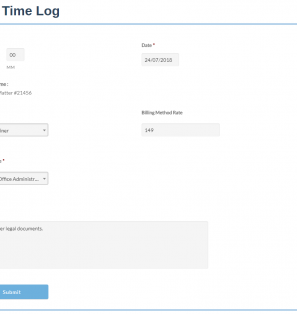 Create a new projects, add times and expenses and convert to invoice. Track everything and get paid faster! Single click access to customer information. More than just a contact list! Instantly see all estimates, invoices and statements linked to your customer. Receive an email when you customer is viewing an estimate or invoice, track the last time you sent it to them and when they viewed it. Resend right-away if needed. A built-in powerful and simple expense tracker makes tracking business expenses ridiculously easy. You’ll know at a glance what you’re spending and how profitable you are, without the need of spreadsheets or boxes of receipts. Reports makes it easy to know exactly how your business is performing. With our straightforward reports, your success will never be a puzzle. They’re detailed enough that your accountant will love you. Two-way sync with QuickBooks. Offer an online portal to your customers.